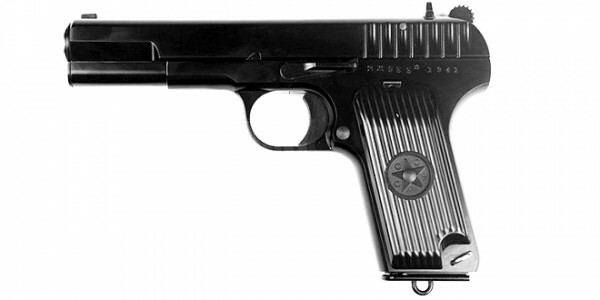 The TT-33 (Tula arsenal Tokarev model of 1933) was the Soviet military's service pistol during the second world war. It is essentially a slightly redesigned, less polished and somewhat simplified incarnation of John Browning's legendary 1911, chambered for the Soviet designed version of the compact. The Norinco Type 54 is identical to the military issue handgun produced for and used by the Peoples' Liberation Army for several decades and is typical of the T-33 pistols made in Eastern bloc and other communist countries.